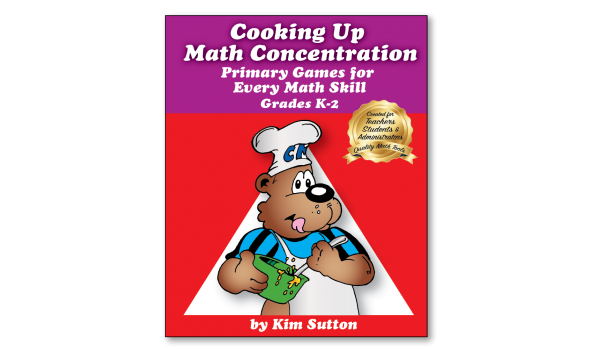 This exciting new book for primary grades (K-2) is filled with Concentration games for every math standard. Concentration is known as the best tool for improving working memory which aides in longterm retention of basic facts and other math content. The book has complete instructions for constructing a Concentration Board for whole class engagement and workstations for small groups. 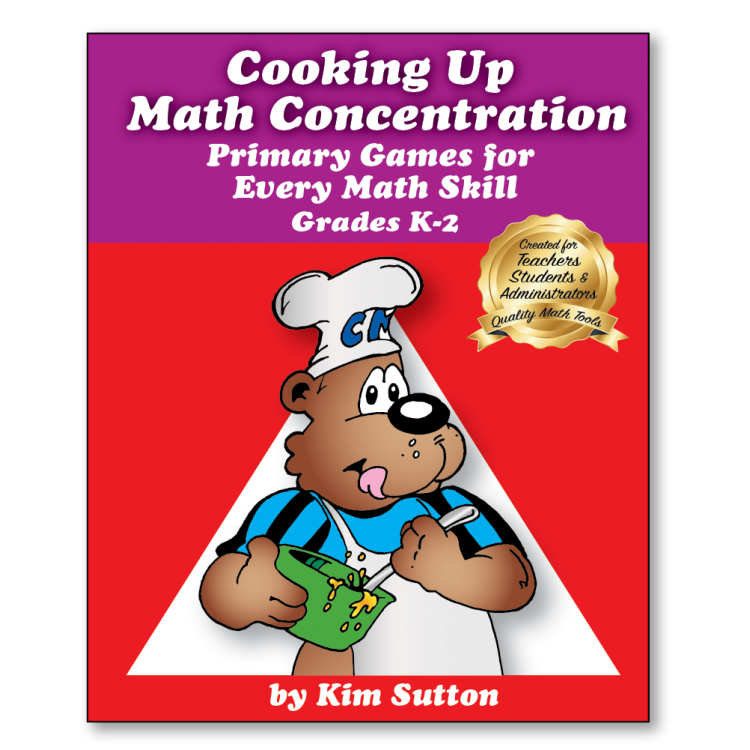 You will find games for subitizing, addition, subtraction, grouping, place value, money, telling time, fractions and geometry. You will also find music connections along with literature suggestions. This book is so practical and the game is a routine that students will love!